Traditional motif seaming techniques require crocheters to painstakingly sew together hundreds of seams and weave in countless ends. Not with Seamless Crochet! With Seamless Crochet, innovative designer Kristin Omdahl has pioneered a new technique for crocheters of all skill levels to create motif-based patterns in one piece, eliminating seams and leaving only two ends to weave in. Kristin's revolutionary modular construction allows one motif to flow into the next, creating secure joins and beautiful geometric patterning on the exterior round. Inside you'll find a showcase of 18 garment, home decor, and accessory projects from Kristin that will change the way you crochet forever. From pillows to shawls to blankets, these projects illustrate just how versatile and time-saving this "tail-free" construction method is. As a bonus, Seamless Crochet also includes a helpful instructional DVD of Kristin explaining the details of her new technique. Plus, the book offers a motif directory of original designs with Kristin's expert advice on how to adapt any motif-based pattern to her one-of-a-kind seamless technique. 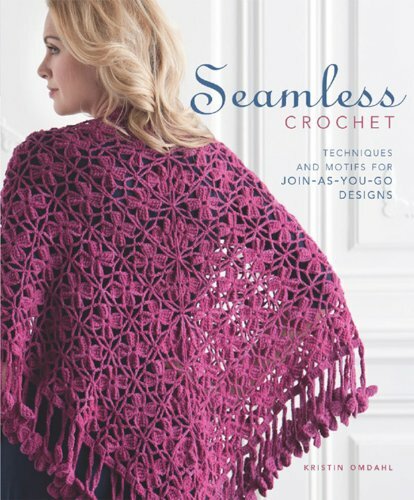 Seamless Crochet will forever transform the way you approach every crocheted motif-based design and project. Designer Kristin Omdahl is one of the most innovative designers working today, and in this collection, she showcases her signature motif designs and experimental construction in 18 original patterns--five scarves, six wraps, five shawls, and two skirts--that provide new ways to think about knitting pieces that wrap, drape, or tie. 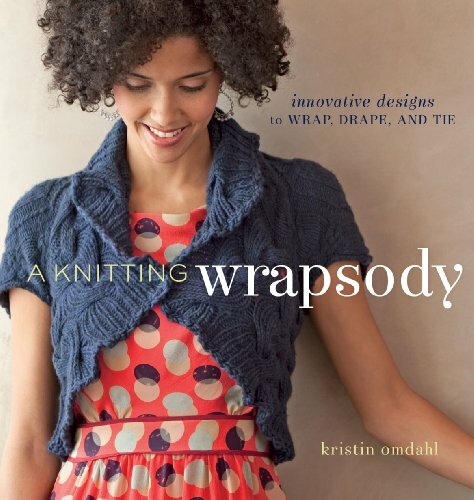 Unlike other wrap books, this collection offers ingenious ways for wrapping your knitting, whether around the neck, shoulders, or waist. The designs for these garments are just what you've been waiting for--inspirational, creative patterns that advance your skills, explore shape and silhouette, and are beautiful to wear year-round. All of the garments incorporate interesting elements, from reversible stitch patterns and unique knitted edgings to interesting closures. Each project is knitted, but much of the aesthetic draws inspiration from the geometry, motifs, and techniques of crochet. Some of the techniques are quite unusual and the enclosed DVD will demonstrate them in-depth before you cast on for a project. With her passionate attention to stitch detail and one-of-a-kind motif designs, Kristin offers a wide range of projects in A Knitting Wrapsody for a variety of skill levels and time commitments. Expand your wardrobe with bold, stylish shapes and add form-flattering pieces perfect for layering. Though there are 12 project patterns that highlight the edgings, you'll be inspired to creatively mix and match within each edging's section. 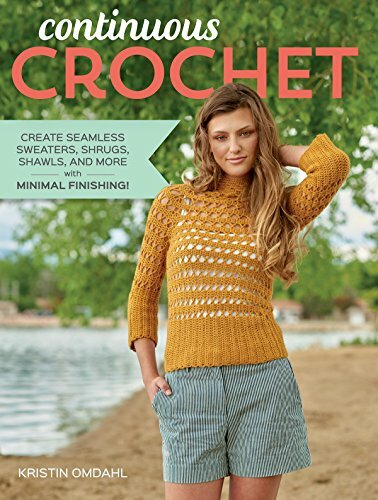 Also included in this gorgeous book are charts, illustrations, and photographs of crochet swatches and a pattern collection that includes multiple sizes, including plus sizes. Explore a new approach to knitting! Knitting Outside the Swatch is an exploration of non-traditional construction techniques for creating and joining flowers, motifs, and various geometric shapes to create inventive and dimensional fabrics. Kristin Omdahl presents a library of 40 original and innovative stitch motifs and shows how joining one or more motifs can create trims or whole fabrics. She demonstrates methods for center-out, top-down, and side-to-side construction. Enjoy 10 project patterns including shawls, cowls, scarves, and sweaters. Kristin illustrates how to interchange various motifs in these patterns and encourages you to incorporate motifs into other designs. Learn how to integrate these motifs into the body of a garment and how to decorate or embellish other knitwear by using motifs as edgings, bands, cuffs, and more. Think outside the box with this must-have knitting book! For beginners who are ready to advance beyond flat knitting, working in the round is a natural progression, says designer Kristin Omdahl. It alleviates a lot of seams, she explains, which gives a better structure to your projects, as well as making them more pleasing aesthetically. 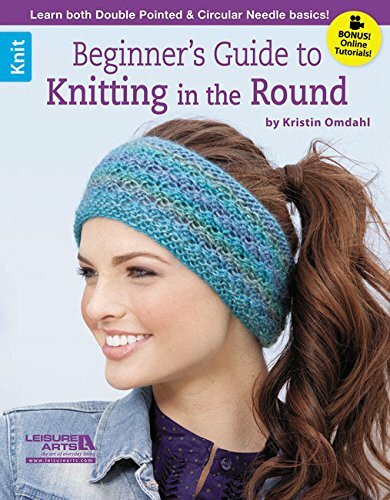 Kristin created the designs in this book to be easy projects for learning to use double pointed and circular knitting needles, as well as combination projects that transition from one type of needle to the other. Great for gifts, projects include a Headband, Cowl, Lace Capelet, Pouch, Baby Hat, Fingerless Mitts, Baby Blanket, and Family Hat in sizes for toddlers, children, women, and men. Boye-I Taught Myself To Crochet 18 Inch Doll Clothes. 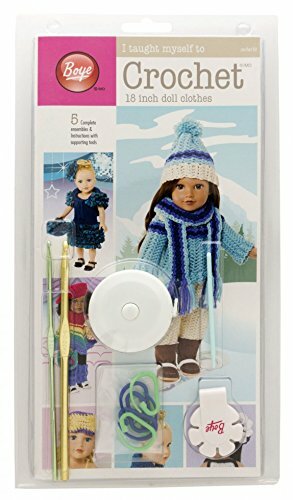 If you are familiar with the basics crocheting doll clothes is a fun way to improve your skills and experiment with new techniques. This package contains one book with instructions for five complete ensembles two aluminum crochet hooks in sizes D/3 (3.25mm) and H/8 (5mm) one yarn cutter one tape measure one 2-3/4 inch long plastic needle and six carabiner stitch markers. Imported. New I Taught Myself To Knit 18"" Doll Clothes-Boye-I Taught Myself To Knit 18 Inch Doll Clothes. 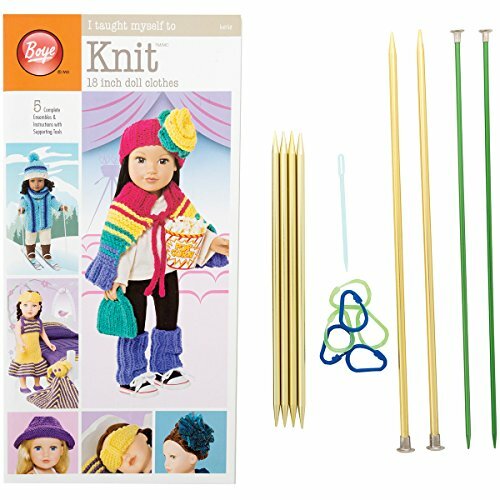 If you are familiar with the basics, knitting doll clothes is a fun way to improve your skills and experiment with new techniques. This package contains one book with instructions for five complete ensembles, two 10 inch straight knitting needles in sizes US 3 and US 8, a set of four double-point knitting needles in size US 8, one 2-3/4 inch plastic yarn needle and six carabiner stitch markers. Imported. 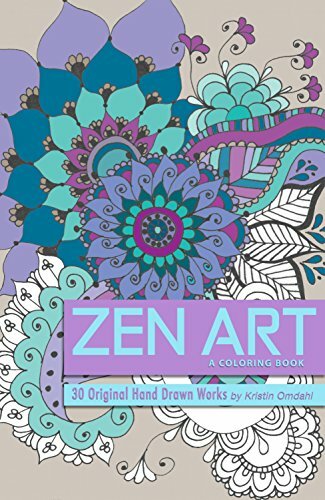 Zen Art: A Coloring Book by Kristin Omdahl. Featuring 30 original hand drawn works by Kristin Omdahl. The spiral bound book has one-sided printing so you can frame and hang any of your finished masterpieces! Drawing is one of Kristin's most relaxing hobbies. After a long day, it soothes her soul to draw a scrolling, lacy design and color it in. While she often uses black markers to create her drawings, she loves to color them in with everything from colored pencils to markers, chalks, and even crayons! Watching her designs come to life bursting with vivid colors makes her heart smile. She loves to use the bright colors of the tropical flowers surrounding her home. Kristin has often been that it looks like she is having so much fun when she is drawing, and that others wish they could draw, too. This is the first collection of drawings Kristin has created with that specifically in mind. The drawings are already done - so now you can focus on bringing each one to life! You choose the medium (crayon, pencil, markers, paint, etc...) and the palette! Now you can complete a work of that that will look perfect in your home. The book is printed one-sided only so you can tear out your masterpiece and display it proudly or gift it to someone special. Enjoy 21 beautiful crochet patterns that you will wear again and again in Crochet So Lovely. 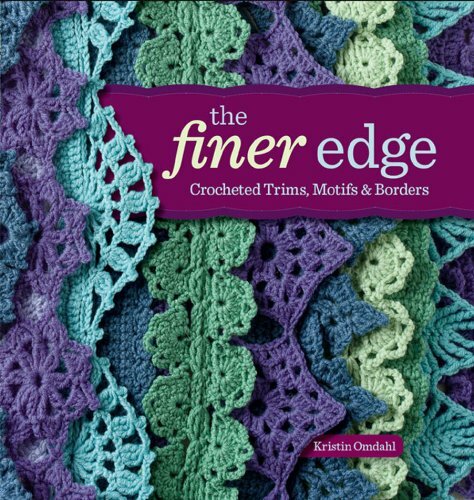 Author Kristin Omdahl offers a collection of crochet lace patterns along specific themes--creating interesting lace by playing with gauge; creating allover lace; keeping lace as the focal point; and working motifsùas well as the time-honored techniques of broomstick lace, Tunisian crochet, and Bruges lace. Wrap yourself up in crochet accessories like shawls and cowls, along with sweaters, cardigans, and tunics. Show off your shaping techniques in fitted and flattering garments. You will find a veritable orchestra of crochet ideas to choose from, even felting, in the form of a sumptuous felted handbag. Continuous Crochet: Create Seamless Sweaters, Shrugs, Shawls and More--with Minimal Finishing! Make beautiful, seamless garments and accessories using basic crochet stitches and join-as-you-go techniques. Attention, style-conscious crocheters! Are you looking to expand your handmade wardrobe with attractive, wearable projects, using eye-catching but easy-to-make construction? Look no further! 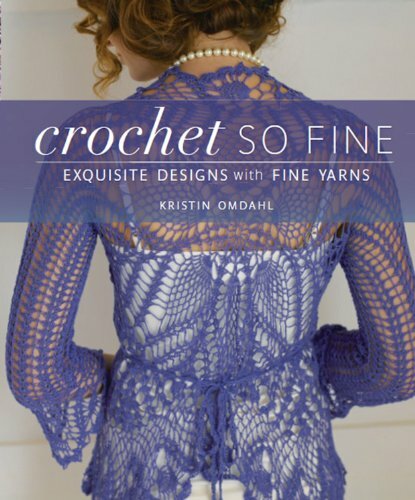 In Continuous Crochet, bestselling author Kristin Omdahl has created a stunning collection of garments and accessories--seamlessly. 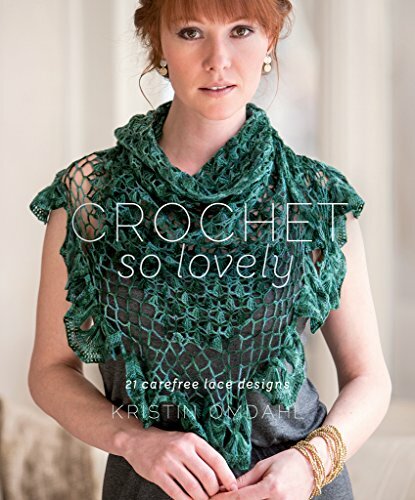 With Kristin's guidance, readers will learn to manipulate crochet motifs into unique garments (sweaters, cardigans, shrugs) and accessories (crochet hats, cowls, and shawls) that are as style-conscious as they are figure-flattering. And all of the pieces require minimal finishing; you can join crochet in unique and clever ways, without breaking the yarn! These innovative crochet patterns are suitable for those who are looking for beginner crochet projects as well as larger pieces. The pieces strike the perfect balance between stunning good looks and ease of technique. With Continuous Crochet, you'll never want to put down your yarn and hook! 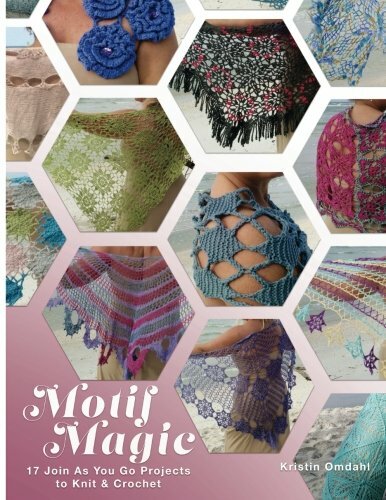 "Kristin's new book, 'Motif Magic,' contains beautiful patterns for both knit and crochet. The join-as-you-go method of construction starts off with a motif, or design element, like a fancy square or circle, that you easily join to form the larger item like a shawl. In other words, you connect the motifs by knitting or crocheting them together as you work, instead of sewing them at the end. And just because the patterns look incredibly gorgeous and complex, they are not incredibly difficult to make. The motifs are easy to remember, so once you make 2 or 3 of them, it's very easy to construct the rest of the pattern. Because Kristin's book contains easy-to-understand instructions, clear diagrams, and wonderful full-color photos, all skill levels - beginner to advanced - can accomplish the patterns in this book. I highly recommend having a copy in your collection!" "I bought this book, Motif Magic by Kristin Omdahl, literally the MOMENT it was published. Her design sensibility is impeccable and I'm always impressed by her clever construction and this her 14th published book on the subject, is NO exception! (I'm giving away an autographed copy, see details later on in this post). I've been crocheting and knitting most of my life and when someone says the magic words "join as you go" I go on high alert! You mean I won't be left with a stack of motifs that then have to be whipstiched together (a step I'll admit that I sometimes never get to)? 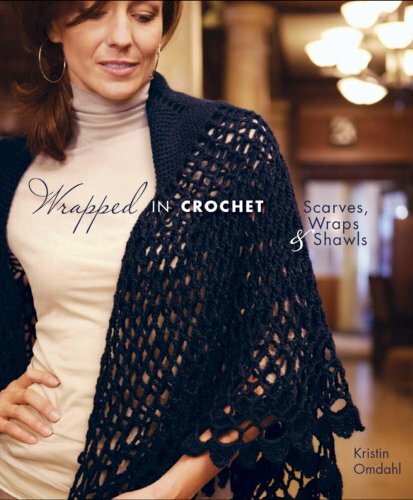 In this full color book Kristin offers up 17 gorgeous shawls, cowls and bags expertly balancing between both crochet and knit. You'll learn a variety of construction styles with charts and also line by line instructions!" "Kristin wants you to be successful and provides you everything at your disposal to give you a leg up. The patterns inside the book are both crochet and knit. Kristin is bi-stitchual, meaning you can do it both ways... you know... crochet and knit. He hands glide through the stitchwork in either craft like buttah! 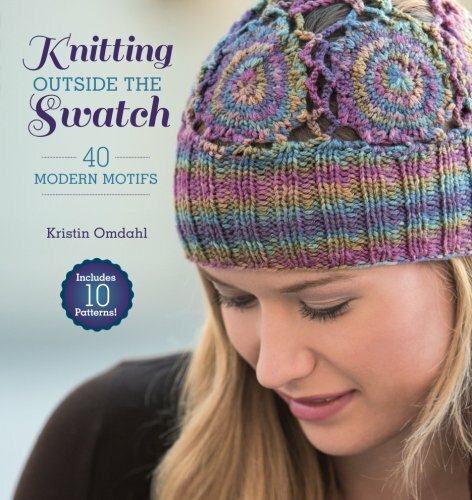 The book is filled with fancy, but doable, designs that are signature Kristin Omdahl. Garments you would want to wear to a wedding or a chilly evening. Glamour, handmade, by you. With the help of the diagrams, those words flow and match the diagrams to give you the help you need. This book is full coloured, with enlarged, easy to read fonts. By supporting her latest book, you are giving her the opportunity to continue to make even more books. Be inspired to create more." 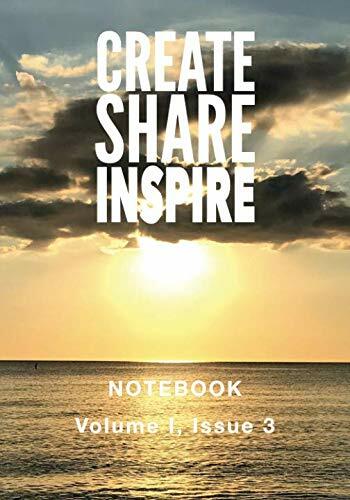 Create Share Inspire Notebook, Volume I, Issue 1 is a self exploration journal designed to help readers nurture their creativity, gratitude, and self-motivation. It helps readers reconnect with their inner selves through solitude, introspection, and contemplation of what's truly important to them. In this journal, you have the flexibility to write down the dates of entry and not feel guilty if you miss a day. 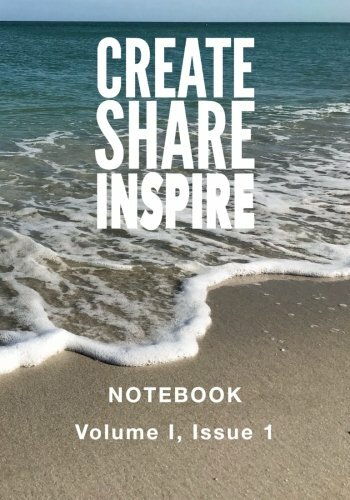 It features daily inspirational quotes from writers, artists, and other visionaries throughout history, paired with a daily page for writing and reflecting. Grab a copy for a friend and share the journey together! 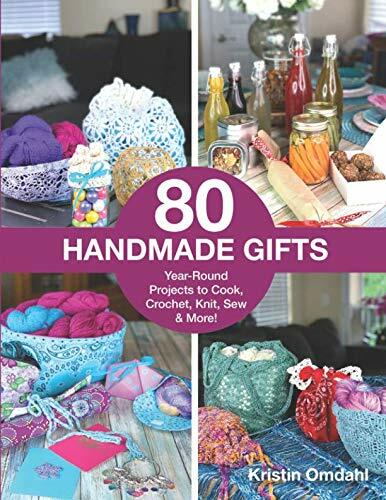 80 Handmade Gifts: Year-Round Projects to Cook, Crochet, Knit, Sew & More! 80 Handmade Gifts is your new, go-to guide for making handmade gifts anyone would love. A perfect reference to keep on hand for holidays, birthdays, and last-minute gifting opportunities year-round, including hostess, get well soon, thank you, or no-reason-at-all gifts.This collection includes many kid-friendly projects. 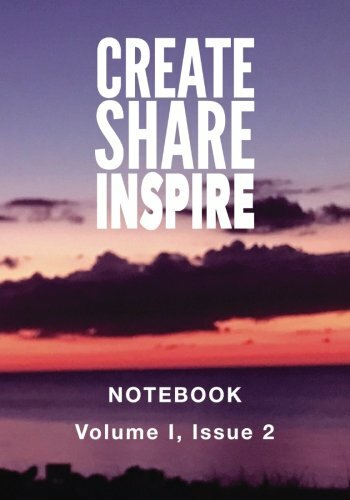 Bond with your loved ones and teach the next generation to create, share, and inspire others.This collection of projects was curated with usefulness in mind: a gift that can be used regularly is the gift that keeps on giving. Choose a quick and easy project from a wide variety of disciplines including: knitting, crochet, sewing, paper crafts, cooking and more. You are sure to find the perfect gift! Each project includes step-by-step instructions, clear photographs plus variations, to help you make each gift a one-of-a-kind.